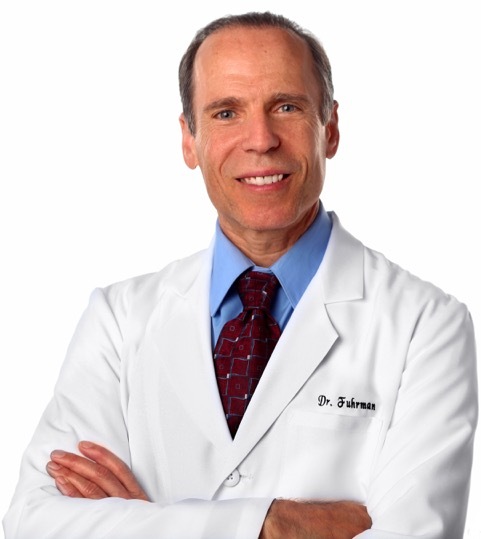 I recently had the pleasure to meet and interview Dr. Joel Fuhrman, a strong advocate of the micronutrient-rich diet. The following is part two of an excerpt from our conversation (click here for part 1), where Dr. Fuhrman answers my questions about nutrition, disease, and health in society today. What is your no. 1 tip for losing weight? In order to lose weight, you need to eat more eat more high-nutrient food and less low-nutrient food. You will take in fewer calories, but feel more satiated. Counting calories can become a full-time job, and it’s not sustainable in the long-term. Instead of focusing on weight loss only, eat the foods that will optimize your health, promote longevity, and help to prevent cancer. That is how a Nutritarian diet works; weight loss is a side effect of eating healthfully. Eating smaller amounts of nutrient-poor junk food does not work. Diets that require counting calories do not address re-training the taste-buds to prefer healthier foods—therefore you never lose the addictive cravings, and regaining the weight becomes inevitable. I say no to heart attacks and strokes, and no to dementia and cancer. In other words, I eat to live long and with gusto until the end. Who wants to be like a sickly American popping scores of prescription medications and living a sickly, half-full life. What is your philosophy about diseases that afflict the modern population? The common diseases that afflict Americans today are mostly lifestyle related and preventable. It is not inevitable as we get older to develop heart disease, diabetes, dementia, and common cancers. These diseases result primarily from the accumulation of damage from the unhealthy foods we eat from the time we are born into adulthood. Most of the typical American diet is disease-causing food. Processed foods – nutrient-depleted foods made mostly of refined white sugar, refined white flour, salt and oil comprise 55% of the calories in the American diet, and animal products make up another 30%. Only about 5% of calories are derived from vegetables, beans, fruit, nuts and seeds. As a result, Americans get inadequate amounts of many vitamins and minerals and little if any of the antioxidant nutrients or other phytochemicals that help prevent chronic diseases and promote longevity. Salt consumption has been linked to both stomach cancer and hypertension. Consumption of added sugars or sugar-sweetened beverages has been linked to diabetes, cardiovascular disease, and cancers. Excess animal protein is linked to an increase in the risk of common cancers. What is the ‘second meal effect’? The ‘second meal effect’ refers to the effect of the foods eaten at one meal on the glycemic effects of the next meal. Research suggests that if you eat beans regularly, at lunch for example, it will reduce your appetite, food intake, and blood glucose response at dinner many hours later. Beans are a glycemically favorable food, and the fermentation of their non-digestible carbohydrates by gut bacteria helps to lower the blood glucose raising effects from other foods eaten at the same meal and later meals. How does your food plate differ from the USDA Pyramid, and why are your changes to the pyramid important? Although the USDA (U.S. Department of Agriculture) MyPlate is an improvement over previous Food Pyramids, and the USDA’s recommendations are simply inadequate. Vegetables make up the largest portion of MyPlate, slightly larger than the grains section. They recommend that half of grains should be whole grains. They recommend filling half of one’s plate with fruits and vegetables, and half with “protein” and grains. Half a plate full of meat and grains (only half of which are whole grains), plus a serving of dairy at each meal will not be enough to significantly improve the health of Americans. Meat, beans, and nuts and seeds are all considered “protein” however nuts, seeds, and beans have been shown to reduce cholesterol levels and heart disease, and meat is linked to increased risk. Plus, including milk as its own prominent group implies that it is an essential part of a healthy diet, whereas dairy products are association with breast, ovarian, and prostate cancer. This plate offers little help for those really wanting to reduce their health risks. For superior health, we must eat more nutrient-rich foods and fewer lower-nutrient, high calorie foods. We need to take the standard American diet and flip it completely. We should be eating primarily vegetables, beans, fruits, nuts and seeds, followed by whole grains. Animal products should be only a condiment, and must be reduced to fewer than 10% of total calories to prevent cancer, and processed foods should be avoided completely. What is the secret to living a long and healthy life? The secret to a long healthy life is living healthfully your whole life. Following a Nutritarian diet, which optimizes micronutrient intake, is of utmost importance, but it’s not the only important part. Exercise, good self-esteem, a positive outlook, and healthy social relationships all work together with a health-promoting diet to build a healthy life. How important is what you eat before getting pregnant? It is clear that a woman’s diet during pregnancy affects the baby’s health. It is also well known that it is important for a woman to enter pregnancy in a state of iron and folate adequacy. New research suggests that what both parents eat even before conception affects the health of their future children. The foods you eat affect the health of every cell in your body – including egg or sperm cells. Maternal obesity can compromise the health of the baby, and a poor diet in the mother or the father may negatively affect weight and glucose metabolism of the child. What guidelines would you include in a healthy diet in order to prevent and treat disease? Incorporate G-BOMBS every day. G-BOMBS stands for Greens, Beans, Onions, Mushrooms, Berries, and Seeds. These are the most health-promoting, anti-cancer foods on the planet. These foods are extremely effective at preventing chronic disease and promoting health and longevity. You were a figure skater until an injury forced you from competition. Now you work with athletes. Has your perspective on nutrition and athletics changed since you were a competitive athlete? How do you work with athletes now, as a doctor and nutrition expert? I had the same viewpoints when I was an international skating coach, and I encouraged the athletes under my tutelage to eat healthfully to avoid interruption in their training from frequent viral infections. Now I advise world-class athletes how to maintain their long-term health, and prolong their competitive life, while they maximize endurance, agility, and strength. Some of the strongest athletes in the world eat a Nutritarian diet. We pay attention to protein adequacy, but most of it comes from greens, beans, seeds, and Mediterranean pine nuts, not meat. How important is nutrition in today’s society? In your mind, is there a paradigm shift regarding the way people view their health and what they eat? What changes have you seen in the last 30 years in regards to health and nutrition? Not much. I still see many people aware and living healthier, and others living with their heads buried in denial. Many people have religious views toward food and their favorite nutritional guru, and do not think in a logical and unbiased view toward what they eat. From your 10 books, which is your most important contribution to the nutrition and health world? What was your favorite book to write? I think Disease-Proof Your Child was my favorite to write. I think they collectively establish a strong foundation espousing the gold-standard of applied nutritional science. They are not based on what is most popular or sell the most books, but merely on what is optimal. My newest book, The End of Heart Disease, I expect may be my most widely read book ever, because it not only explains the healthiest way to eat to prevent and reverse heart disease, but also explains the problems and futility from medications and conventional medical care for high blood pressure, high cholesterol, and heart disease.